Solid, punchy and powerful bass. Constructed with thick MDF board for assured strength and stability, the TS-WX306T bass-reflex tube system is well tuned to reproduce punchy and powerful bass. The TS-WX306T tube houses a durable woofer that is built with a Voice Coil Cooling System (VCCS), improving heat removal from the centre of the subwoofer, thus increasing frequency response and high power handling. Pioneer’s patented lightweight IMPP composite seamless cone maintains reliable power handling up to 1300 Watt. 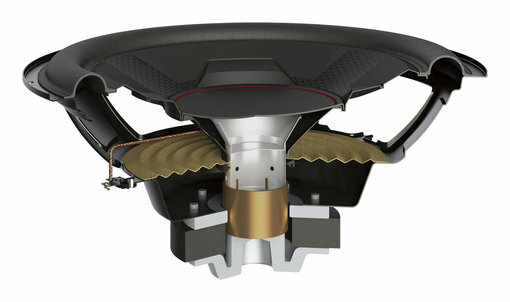 The subwoofer comes in a cylindrical design to get rid of standing waves inside the enclosure, in order to avoid deterioration of the bass performance.